Just kidding! However, I figured that sharing some of our meals here would be helpful. 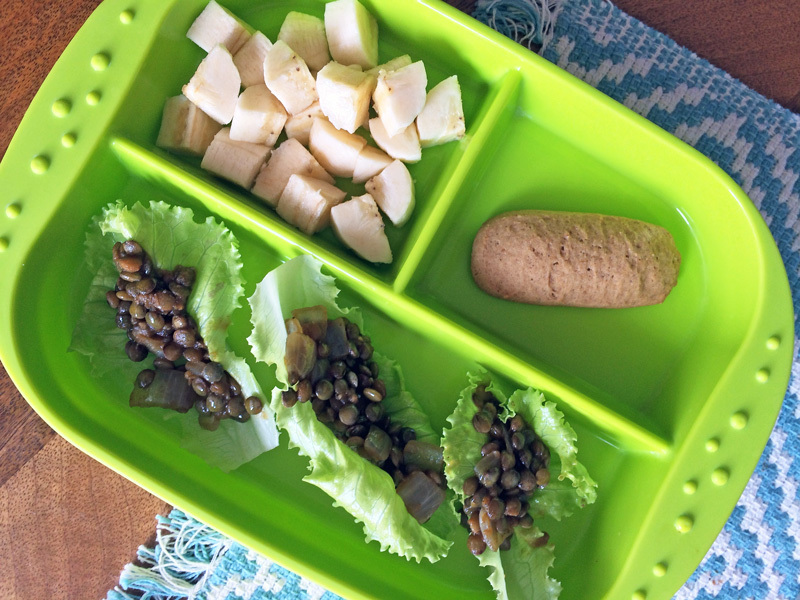 Not just for those people who are puzzled as to what a vegetarian toddler eats, but for other vegetarian parents out there—it’s nice to see what other families are making and pick up some new ideas. I feel like every vegetarian and vegan probably owns this cookbook, yes? Legumes are one of those dependable foods Little Pea will reliably eat any way we serve them, so she loved these. I served them in little lettuce cups, which didn’t really work out so well for her, but my husband and I appreciated them. 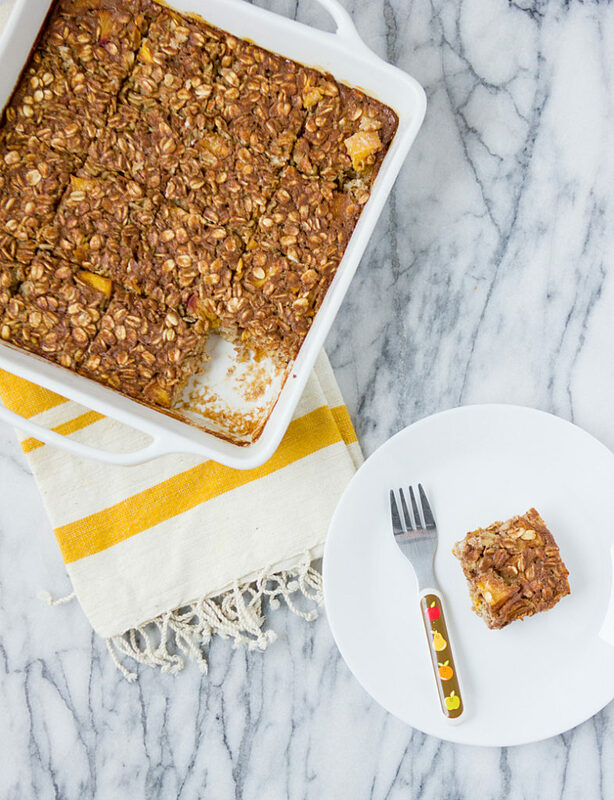 Before I had my daughter, this recipe—and variations of it—was my favorite breakfast. I’d make a batch with whatever fruit was in season, cut it into individual servings, and pop them in the freezer. And after I had my daughter (we’ll call her Little Pea), this was one of the first recipes that got me back in the kitchen. It felt so good to have a warm, filling breakfast ready for me every morning during those hectic, sleep-deprived weeks.